Serial killer Ted Bundy was arrested in Granger on August 16, 1975, on a routine traffic stop. West Valley City has a nonpartisan, strong city manager form of government, which means that the city manager is analogous to a corporation's CEO, while the mayor fills a role similar to chairman of the board, with the City Council acting as the "board". The mayor is a voting member of the City Council. The West Valley City Council meets each Tuesday night at 6:30 PM, except fifth Tuesdays. City Hall is located at 3600 South Constitution Boulevard. The mayor and six councilors are elected to four-year terms. Mayoral elections are held the same year as three of the councilors. The other three councilors are staggered two years from the mayoral. Two council seats are at-large, or citywide, and the remaining four seats represent districts of approximately 28,000 residents. Officials are not subject to term limits. As of November 2013[update], the most recent election was held in November, 2013. 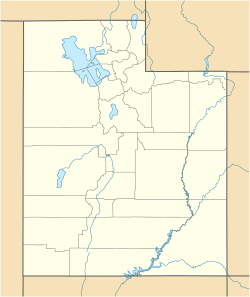 In the Utah State Legislature, West Valley City is in Senate Districts 1, 3, 5, and 12 represented by Democrat Luz Robles, Democrat Gene Davis, Democrat Karen Mayne, and Republican Daniel Thatcher and House Districts 30, 31, and 33, represented by Republican Fred Cox, Republican Sophia DiCaro, and Republican Craig Hall. Federally, West Valley City lies in the 2nd and 4th congressional districts, represented by Republican Chris Stewart and Republican Mia Love. The West Valley City Police Department is administered by Chief Lee W. Russo with support from four Deputy Chiefs. With "194.5 sworn officers" and 45 civilian employees, the West Valley City Police Department responds to more than 110,000 calls for service annually, As of 2016[update]. In 2013, the city police's narcotics unit was disbanded due to rampant corruption among its officers. These officers were found stealing small items from seized vehicles, taking evidence, and placing tracking devices on potential suspects' vehicles without warrants. The fire department responds to more than 10,000 calls for service each year. The department has five strategically located fire stations to respond to medical emergencies, fire emergencies, and various other calls for assistance. WVFD is dispatched by Salt Lake Valley Emergency Communications Center. According to estimates from the U.S. Census Bureau, as of 2017, there were 136,170 people in West Valley City. The racial makeup of the county was 46.8% non-Hispanic White, 2.4% Black, 1.0% Native American, 5.5% Asian, 4.4% Pacific Islander, and 4.3% from two or more races. 37.7% of the population were Hispanic or Latino of any race. In the city, the population was spread out with 33.7% under the age of 18, 12.9% from 18 to 24, 30.7% from 25 to 44, 17.4% from 45 to 64, and 5.4% who were 65 years of age or older. The median age was 27 years. For every 100 females, there were 102.3 males. For every 100 females age 18 and over, there were 100.5 males. Companies based in West Valley City include Backcountry.com, CR England, FranklinCovey, and USANA Health Sciences. 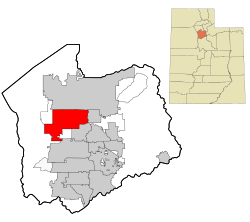 The city lies in the Granite School District. It has 21 elementary schools, four junior high schools, and two high schools - Granger, which opened in 1958, and Hunter, which opened in 1990. The city is also the location of East Hollywood High School, a charter school specializing in film education and American Preparatory Academy. West Valley City is home to the Maverik Center and the Utah Grizzlies of the ECHL. 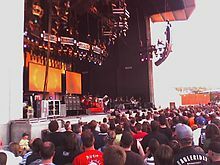 It is also home to the Utah Cultural Celebration Center, Stonebridge Golf Course, The Ridge Golf Course, Rocky Mountain Raceways, USANA Amphitheatre, and the Valley Fair Mall. WVC is also home to The Drive-in. Granger-Hunter, a census-designated place delinated within the area in 1970. ^ "About Us". West Valley City, Utah. Retrieved 2018-08-14. ^ Utah Trend Report 2: State and Complete Places (Sub-state 2010 Census Data). Archived 2012-07-19 at Archive.today Missouri Census Data Center. Accessed 2011-02-26. ^ New name for WVC project: Fairbourne Station. The Salt Lake Tribune. May 19, 2011. ^ "Official Fairbourne Station Web Site". Wvc-ut.org. Retrieved 2017-08-27. ^ "Officer recalls Bundy's '75 capture". DeseretNews.com. 2000-08-20. Retrieved 2017-04-21. ^ Manson, Pamela (5 November 2013). "Bigelow wins West Valley City mayor's race by large margin". The Salt Lake Tribune. Retrieved 19 November 2013. ^ "Utah State Legislature". Retrieved June 9, 2015. ^ "Inside the West Valley City PD". Wvc-ut.gov. Retrieved 2017-08-27. ^ Jack Healy (May 17, 2013). "A 'Pandora's Box of Problems' From a Police Shooting and Drugs in a Utah Town". The New York Times. Retrieved 2017-08-27. ^ Census number enumerated in 1980 prior to incorporation as West Valley CDP. ^ "City of West Valley City CAFR". Wvc-ut.gov. Retrieved 2018-05-22. ^ Warburton, Nicole (3 Feb 2008). "UTA plans bus rapid-transit line". Deseret News. Salt Lake City: Deseret Digital Media. Retrieved 28 Mar 2013. ^ Fidel, Steve (1 Oct 2010). "2011 completion date for two TRAX lines announced". Deseret News. Salt Lake City: Deseret Digital Media. Retrieved 7 Mar 2013. ^ "West Valley City, UT-84119". City-Data.com. ^ "West Valley City Downtown Revitalization". KSL. ^ "West Valley City, UT-84120". City-Data.com. ^ "West Valley City, UT-84128". City-Data.com. ^ "Hunter Town Center Small Area Plan". West Valley City. ^ a b "Tonga's Queen Mother coming to West Valley City to rededicate Methodist church". Salt Lake Tribune. 2011-07-29. Retrieved 2011-07-31. ^ Blabbermouth (14 December 2011). "GUNS N' ROSES Frontman Presented With Key To West Valley City". BLABBERMOUTH.NET. Retrieved 27 August 2017. ^ "Minnesota Vikings: Naufahu Tahi". Vikings.com. Archived from the original on 28 August 2017. Retrieved 27 August 2017. ^ "W.V. TEEN WAS SHOWTIME HOSTESS FOLLOWING NATIONWIDE COMPETITION". April 21, 1989. 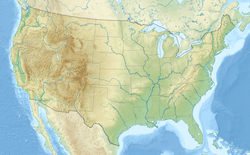 Wikimedia Commons has media related to West Valley City, Utah.